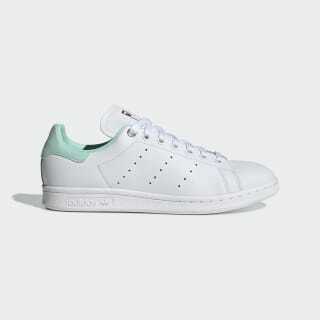 Timeless sneakers updated with mint-green and metallic-silver accents. 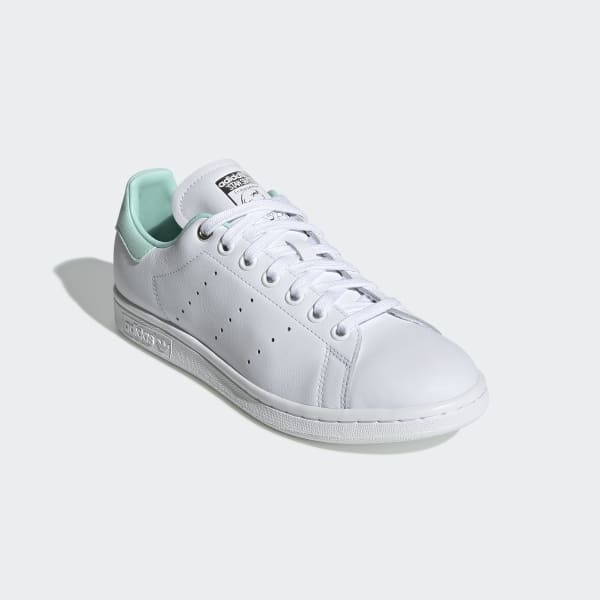 Named for one of tennis' all-time greats, the minimalist Stan Smith shoe is a blank canvas that invites creative additions. These leather shoes add a glamorous touch to the classic sport style with pops of mint-green color and silvery metallic accents on the lace tips and top lace eyelets.